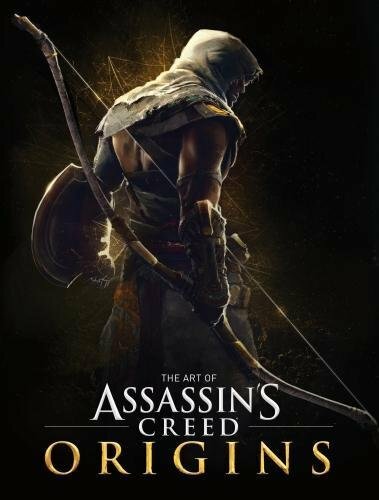 This is the best artbook for Assassin's Creed series so far. I've not played the game yet but judging at the number of favourable reviews on Amazon, it looks like a winner, again. I still remember being blown away by the beautiful concept art many years ago with the first artbook (now out of print). I'm feeling the same now with this latest artbook companion for the game. This is a large 208-page hardcover book. It goes well with the earlier. It goes well with other Assassin's Creed artbooks on the shelf, many of which are also published by Titan Books. The concept art featured are breathtaking. Character designs are there but my favourites are the environment art. The concept paintings transport us back to ancient Egypt as interpreted by Ubisoft artists. I'm not sure about the historic accuracy of the art but they look fantastic and absolutely believable. The artworks have manage to capture the atmosphere well. The look and feel is spot on. Many of the pieces are worthy of being printed and hanged as wall paintings. The landscapes includes the deserts, Alexandria, Nile Delta, Giza and Memphis, Faiyum and Kyrenaika. The composition for every painting is wonderful. Looking at the scenes made me wonder how civilisation was like back then. The experience will be even more immersive while playing the game. And of course, there are going to be spoilers if you haven't played the game first because the book goes through the locations visited in chronological order. Text comes in the form of short paragraphs that give more info to certain locations, and the design concepts before. They provide insight and adds more depth to the book. This is a fantastic artbook with gorgeous art. It's one of the best artbooks in 2017. Well worth the price. Recommended to fans of the games and those into concept art and artbooks. I think your right. The little preview shows awesome material. Then will be the Assassins Creed IV artbook land on the 2nd place. No I must save my money for it.